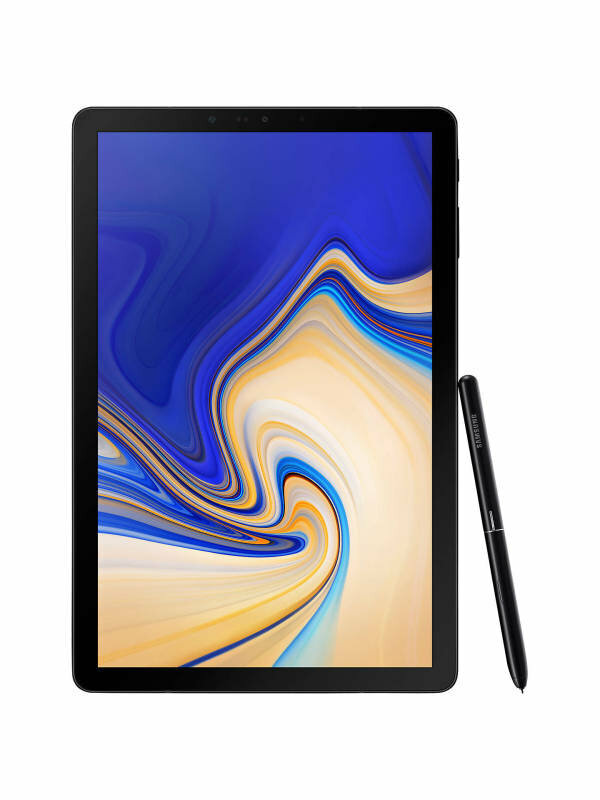 Samsung Galaxy Tab S4 10.5" 64 GB LTE Tablet - BlackSorry, this product is currently out of stock. Samsung DeX enables you to launch a true desktop-like experience on your tablet. Discover a familiar PC look and feel with a taskbar, support for multiple resizable windows plus drag and drop. Partnered with the Galaxy Tab S4's powerful processor and up to 16 hours of battery life, you'll be able to work from anywhere. The Galaxy Tab S4 makes working on the go easy. Enjoy plenty of space with a stunning, crystal clear 10.5" screen, and transform your tablet by attaching the bespoke keyboard case. And for those jobs that need a larger screen, you can connect to a monitor and make light work of the chunkiest spreadsheet. Binge watch your favourite movies and TV shows. The slim bezels and 10.5" immersive screen show every moment in crisp detail and rich colour. And with a compact design and up to 16 hours of battery life, you can enjoy your favourite content at home or on the go. The Galaxy Tab S4's quad speakers - powered by Dolby Atmos surround sound and tuned by audio experts AKG - deliver breathtaking sound that brings music and movies to life. And as you move your tablet, the crisp, rich audio is automatically adjusted and directed to the correct speakers. Attach the Galaxy Tab S4 to the bespoke charging stand to top up the battery. And while it's charging, why not showcase your favourite content? With the Daily Board, you can display a selection of your favourite photos and information such as your calendar, the time and weather. With our innovative S Pen included, the Galaxy Tab S4 enables you to make notes on the go and take your creativity to a new level. Jot down memos when the tablet is turned off, create handwritten notes and show your artistic side. With no need to charge, it's the ultimate accessory.